I heard this question from a young military spouse recently. 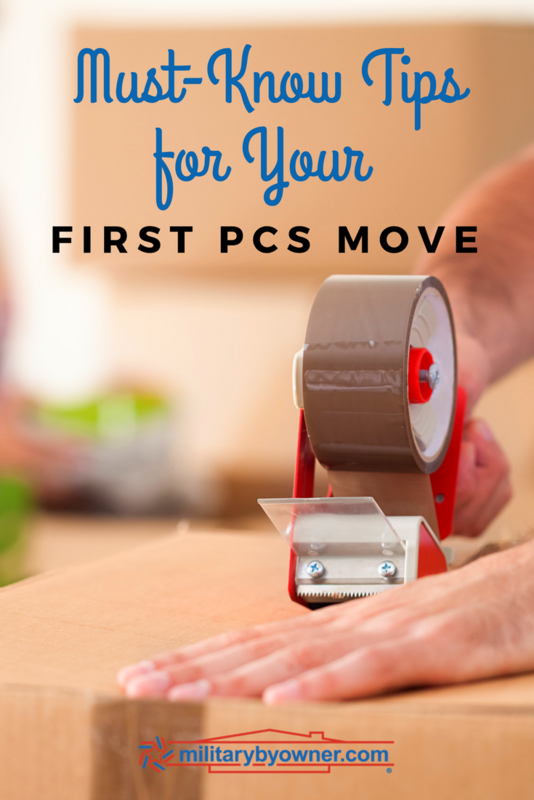 If you and your military family are also anticipating your first foray into a Permanent Change of Station (PCS) move, be sure to add the following tasks to your to-do list. Before you splurge on a grande mocha with extra whip, think about saving those latte dollars for your “PCS fund." Tucking away cash can build padding for your monthly budget. From buying storage bags to providing food for the moving crew, your list of expenses will add up. Since your kiddos insist on growing out of their cute outfits every five minutes, survey their dressers and closets and find new homes for the clothes they’ll no longer wear. Check your own closet to get rid of any attire that may not fit your upcoming climate. The service member should pull out any uniforms they'll need during the transition and first days at the new assignment. The amount of closet space will vary from house to house. By paring down now, you’ll be able to move right in and feel more at home. Candles: Candles can melt during transit and damage other items. Most moving companies won't pack candles. Aerosol cans: Much like a candle, cans of spray will not travel well. Liquids: Think of the bottles on the counter of your bathroom vanity. From perfume to mouthwash, there’s no need to include anything that can spill. Plants: Even if you feel an attachment to your special sprouts, the best idea is to share your potted plants with your friends and neighbors before you move. Loose food: Reveal the secret stash of candy or snacks that you, your kids, or your spouse have hidden away. Trust me, it won’t taste the same after transit. Trash cans: Also, collect the trash cans from each space - no need to ship your rubbish to your new locale. If you start by sorting through one room a day, you’ll be able to prevent any overwhelming feelings about the moving process. When it comes to making a list and checking it twice, you could build a basic spreadsheet or create an inventory of your goods with a smartphone application like Sortly. Highlight your items of significant value, such as electronics, firearms, antiques, and appliances. While making notes of your important belongings, include each serial number. Additionally, taking photos with your smartphone or camera can serve as further record of the condition of your goods prior to your move. When you have a forwarding destination, the list of mail contacts you’re compiling will help you alert the entities of your change of address and collecting a list of those who send you paper mail can lead you to look for more green options with online communication. Decide where in your home you’ll collect the “Do Not Pack” items. From fancy jewelry to items you’ll need to use, you’ll designate a spot to stash the things that you’ll be moving on your own. This gathering place could be a walk-in closet or corner of a room. Try not to use a bathroom as the “Do Not Pack” area. If a packing crew member really needs a restroom break, they’ll find the nearest loo and could snoop through the things you’ve set aside. Create signs that say “Do Not Pack,” or use supplies that you have on hand to clarify the spot where you are setting things aside. For instance, after a recent birthday party, a military family used leftover party supply streamers to block off their collection point. Talk to each packer and mover and point out the portion of your goods that are off limits. Keep your interaction with your moving crew positive as you’ll need to constantly be watching them to ensure that they are handling your things properly. Consider joining your spouse for the “Smooth Move” Relocation Assistance Program at the Family Support Center of your current duty station. From this briefing, you’ll learn what you’ll need to know before and after your move. Completing this program, you’ll have the latest scoop on any crucial changes with the military moving process. And don't miss MilitaryByOwner's series of free PCS ebooks and regional guides, designed to help you will all aspects of a PCS move. No matter if it is your very first move or your fifteenth, check out these handy checklists to keep your military family on track with your upcoming transition.